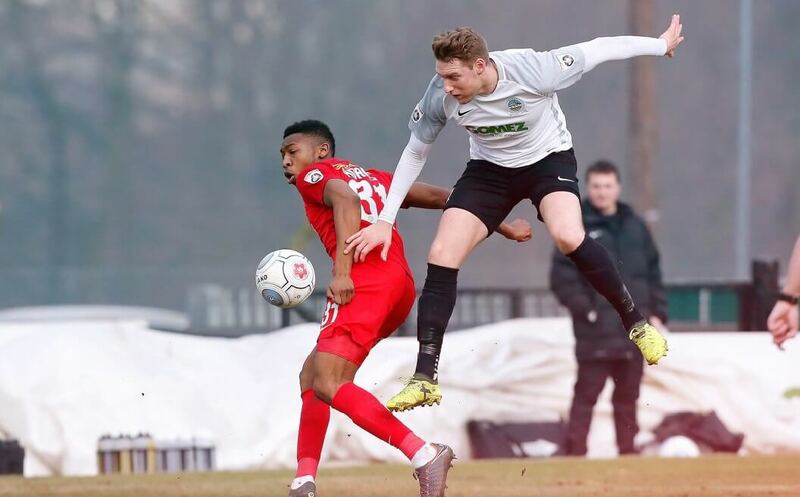 Dover Athletic beat Leyton Orient by a goal to nil in the National League to exact revenge for their defeat to the O’s in the FA Trophy exactly a month to the day of their classic. The home team left it late however as Mitch Pinnoch netted with barely 7 minutes left on the clock to send the O’s back to a freezing London pointless. 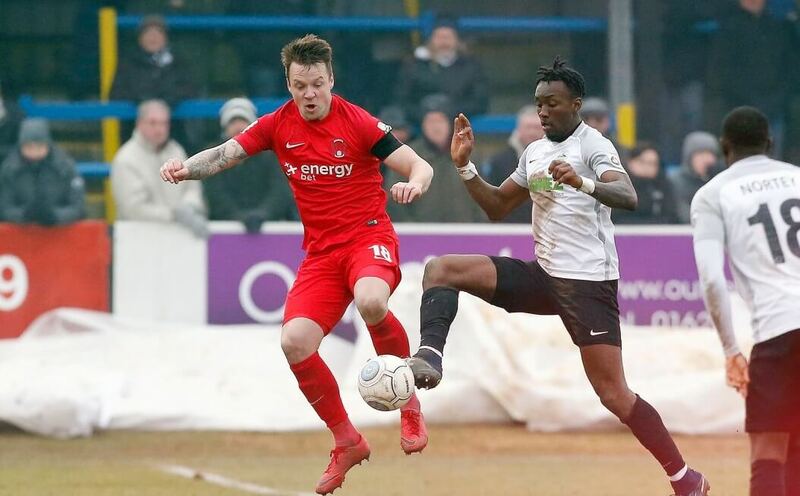 February 3rd saw a 7 goal thriller down on the Kent coast as the O’s advanced in the FA Trophy with a pulsating 4-3 win, this time however it was Dover who ran out winners in a completely different kind of match. It was like chalk and cheese as two teams played cat and mouse with each other in a game that only went ahead thanks to the home fans help. They’ll be glad they did as well as the three points gives Dover a chance of making the Football League a reality this season. Fans turned up as early as 8am to help get the protective covers off the pitch so the game could go ahead. Leyton Orient fans will have wished their counterparts would have missed their alarm clocks and overslept. In the end a crowd of 1,348 braved the wintery conditions in the only game that went ahead in the National League as Orient’s six game unbeaten run came to an end thanks also to Dover Athletic goalkeeper Mitch Walker making countless second half saves to earn the 3 points for his team and keep a clean sheet for Chris Kinnear’s side. The home side took the initiative from the start and their first chance came after just nine minutes when Adebayo Azeez had the ball at his feet in the box. With his back to goal he couldn’t get past his man and his shot was blocked by some determined Orient defending. Mitch Walker first action at the other end was to be forced into a magnificent save 15 minutes into the match when Josh Koroma’s free kick from 25 yards looked to be heading for the top corner but he managed to get a palm on it and push it out for a corner. From the resulting corner Nortei Nortey appeared to handle the ball in the penalty area but referee Chris O’Donnell waved away Orient’s appeals to the shock and dismay of the O’s bench. Orient striker Macauley Bonne looked hungry and had two good chances to score for the visitors but could not test Walker. The first, a header, lacked power and was easily gathered by the goalkeeper. The second saw the striker through on goal unfortunately his shot sailed over the stand after the ball bobbled up just as he was about to strike and probably ended up on the 3.30pm P&O ferry to France. It was a balanced game on an unsurprisingly rock hard pitch and on the stroke of half time Azeez had another chance to put Dover ahead. Orient failed to clear and the ball fell to the forward with just the keeper to beat from a tight angle. His shot went over the bar but he should have crossed as a Dover team mate was free at the far post. Dover start on the ascendancy in the second half as Giancarlo Gallifuoco forced a good save from Dean Brill on 52 minutes. A floated free kick was flicked on by the defender and was pushed wide by the goalkeeper for a corner. Then Dan Holman had a good chance for Orient when he spun his man on the edge of the box but his shot went just wide as the game flowed end to end. Whites hit the post after 63 minutes after they started to put pressure on the visitors. Nortei Nortey latched onto a loose ball in the box and fired through a crowded box but hit the woodwork. Mitch Walker made a flurry of saves to deny Orient after 73 minutes. From an Orient free kick he saved low to his left to push it out for a corner. Next he saved one-on-one from Holman and then Adams. Then Reynolds hit the post for the O’s and it seem destined not to be Orient’s day. So it was to be as Pinnock eventually broke the deadlock after 83 minutes. Azeez played the winger through on goal who then smashed into the top corner with the outside of his foot. The defeat leaves Orient still in 16th and 8 points clear of safety while a resurgent Dover on the up since last months FA Trophy loss to the east Londoners move up two places into the play off places in 7th position after overtaking both Ebbsfleet and Fylde in the process.